OGILVIE-GRANT, Captain, JAMES, 3rd Bn. attd. 5th Bn. Cameron Highlanders. 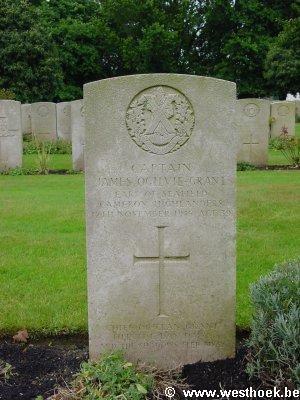 Died of wounds 12th November 1915. Age 39. 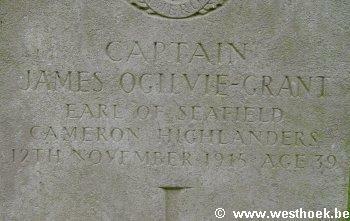 OGILVIE-GRANT, Captain, JAMES, 3rd Bn. attd. 5th Bn. Cameron Highlanders. 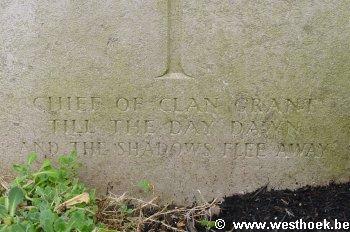 Died of wounds 12th November 1915. Age 39. 11th Earl of Seafield. Chief of the Clan Grant. Son of Francis William Ogilvie-Grant, 10th Earl of Seafield, and Anne Trevor Corry Evans; husband of Mary Elizabeth Nina, Countess of Seafield, of Cullen House, Banffshire. II. A. 4.